← Touken Ranbu – online – Isul Yagen Toshiro Announced! I just wanted to drop a quick note here that Pullipstyle has opened up preorders for the following dolls on their website: Pullip Optical Alice, Dal Dana & Isul Caros. The dolls are due in stock at Pullipstyle in late February. 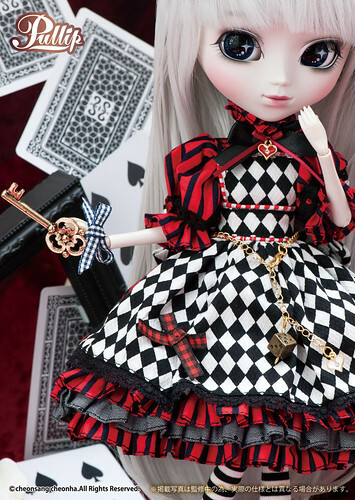 Optical Alice is the first doll in a new series of Alice dolls, the Optical series will feature a red, white and black color theme. Optical Alice is currently priced at $135 and can be preordered here at Pullipstyle. Isul Caros & Dal Dana are inspired by Grimm’s fairytale The Prince and the Frog, Isul Caros is the frog/prince and and Dal plays princess Dana. 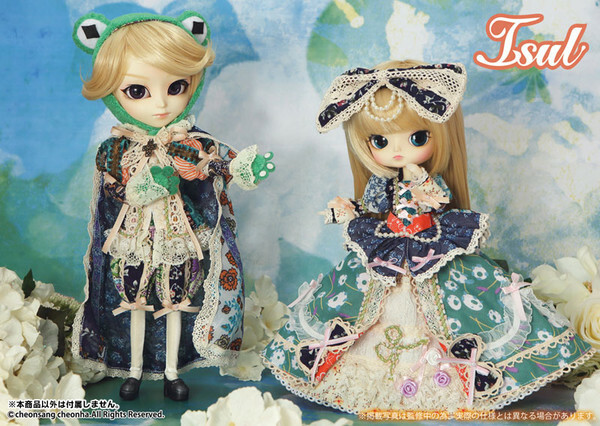 Dal Dana and Isul Caros are available at Pullipstyle at their respective links. This entry was posted in Dal, Doll, isul, Pullip and tagged 2017 dal, 2017 isul, 2017 pullip, Dal, dal dana, isul, isul caros, optical alice, optical alice pullip, Pullip, pullipstyle. Bookmark the permalink.